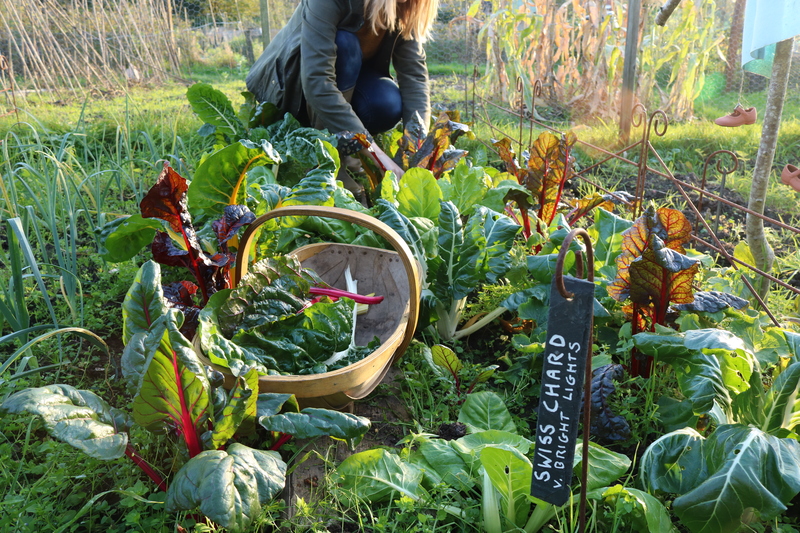 The UK woke up to the first frosts of the year this week, flowers were left lifeless and seedlings destroyed but one crop that continues to thrive is good old swiss chard. 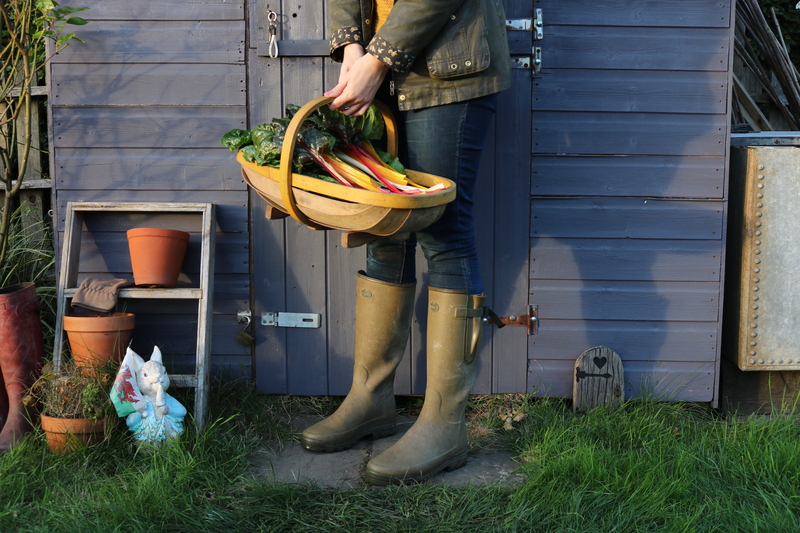 I know I rave about this leafy green a lot but I just adore it, it’s helping to bring colour to a rather sad looking allotment with it’s bright pink and yellow stalks… plus it tastes mighty fine too! I sowed these three rows worth back in July and later transferred them to the old potato bed once they had all been harvested. 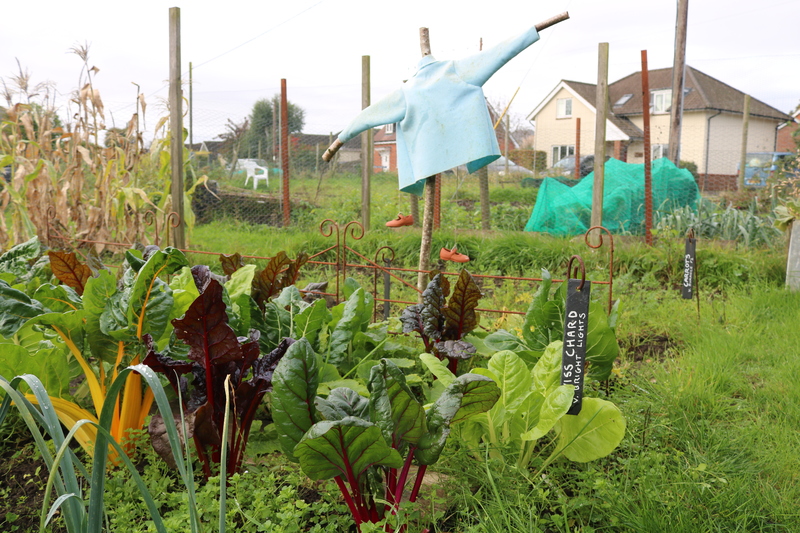 Since then they’ve been putting on a glorious show of the most beautiful colours which are looking spectacular on my Autumn allotment. 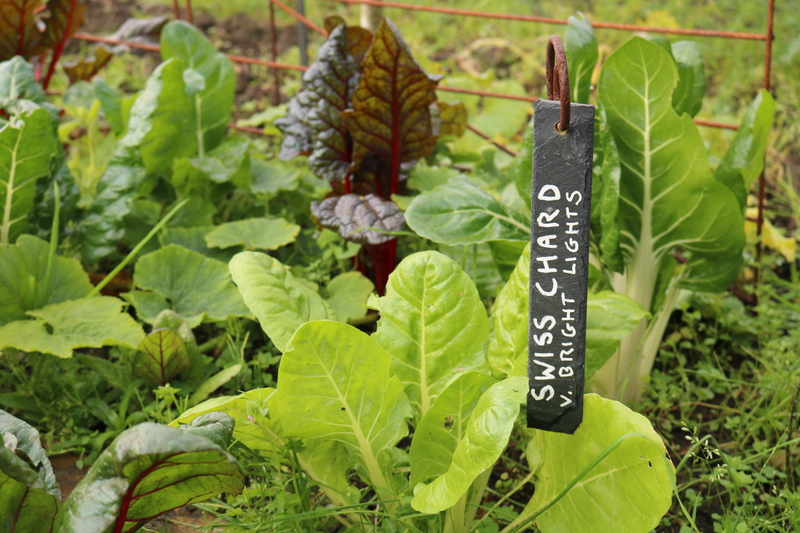 Whilst everything else is dying back the chard continues to grow, it sure helps to cheer me up especially as I don’t have any brassicas growing this year. 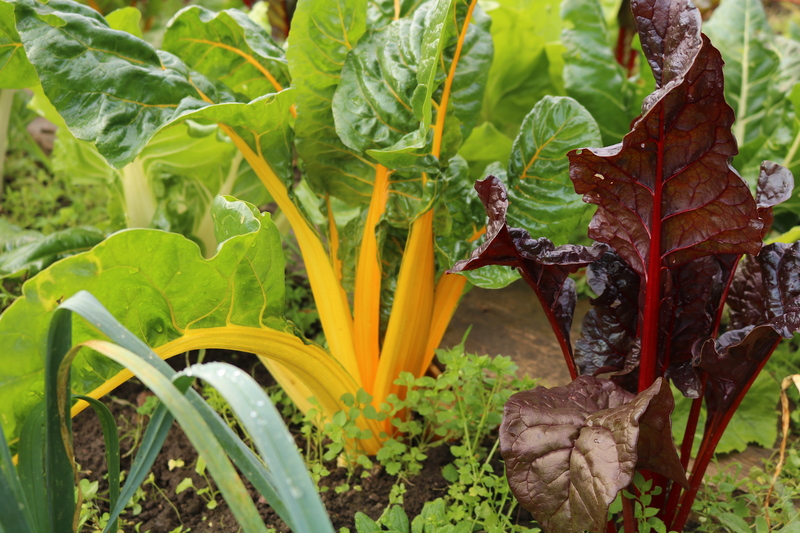 It’s one of the easiest crops to grow and a must have on my allotment, it’s a cut and come again vegetable which is extrememly hardy making it perfect for that second growing season. 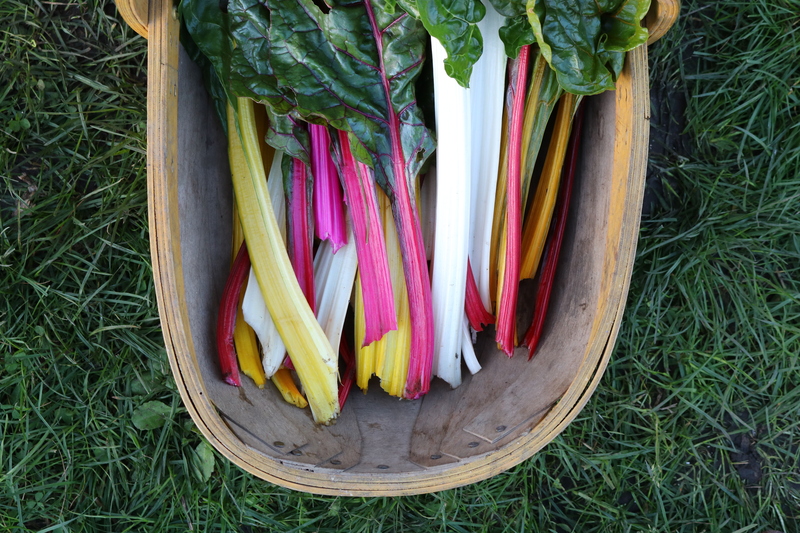 Chard is very much like spinach and can be cooked in the same way but the thing I love most about this rainbow variety are the colours. This trug full will be used to make 4 quiches with, we’ll be eating one for supper but the rest will be stored in the freezer until we need them. 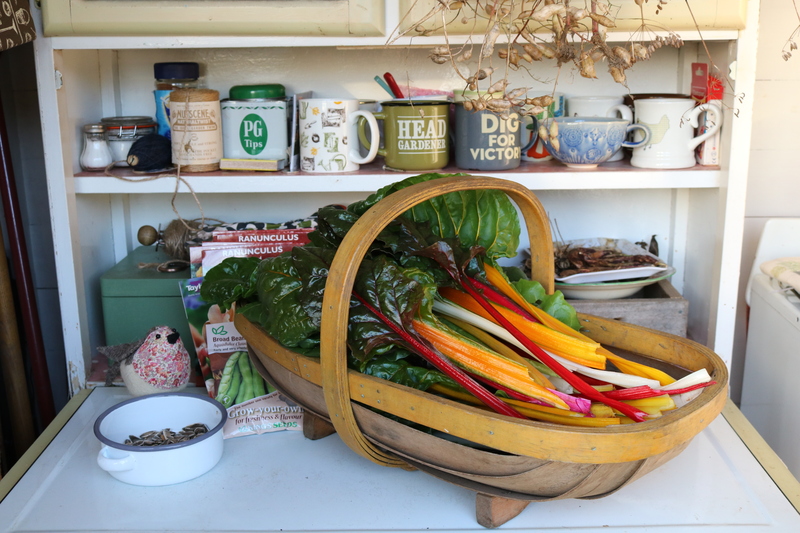 It’s one of my favourite dishes and one I’ll be sharing in the allotment kitchen very soon! Aren’t they just beautiful?! So glad you’ll be trying them next year, have fun! I sometimes (during the summer) cut up a few of the baby leaves and mix it with lettuce and even some dandelion leaves. Scatter Olive oil and a few walnuts on too.